HEBRON, Ky. -- The Tri-State has never felt smaller than in an easily passed corner of the Cincinnati/Northern Kentucky International Airport. Tens of thousands of people pass by it, near gate B13, every day. At a time many feel divided by race, sexual orientation, religion, class and politics, Kailah Ware hopes her art reminds them we have more in common than separates us. "I was like, 'I want to just know more about the people in my city,'" Ware said. Called "One Degree of Separation," her mixed-media installation seeks to answer the question "What do you love about Cincinnati?" The idea grew from a class the West End native took at Wright State University, and was made possible thanks to a $10,000 grant from People’s Liberty. 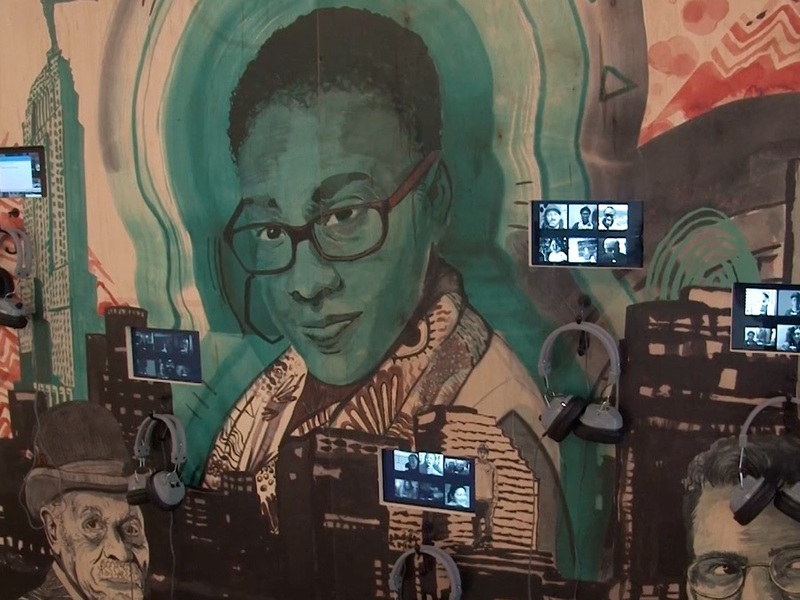 "One Degree of Separation" has video screens set in a mural featuring Cincinnati landmarks. To watch, viewers put on headphones and touch a screen to hear someone's 45- to 60-second story. There are more than 150 love letters to the Queen City, encompassing people from many of Cincinnati's 52 neighborhoods. Ware's installation also has a studio where participants can share their own stories. Her point is simple: No matter the challenges we face, we have a shared history here. "It's been just an enriching experience, and I'm just so thankful to the people who have stopped and participated in giving a little of themselves to me," she said. "One Degree of Separation" first went on display at Rhinegeist Brewery in Over-the-Rhine. It's been at CVG since June and will remain there through the end of February. Ware hopes to take it somewhere new afterward. Her ultimate goal, she said, is to have a permanent exhibit at airports across the region, celebrating each city.